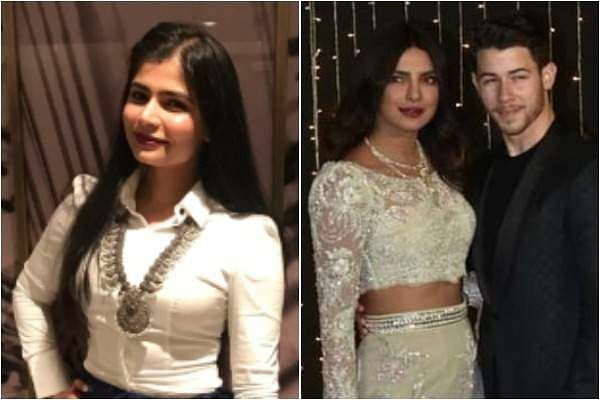 Priyanka Chopra has been facing a lot of criticism ever since she married Nick Jonas in December last year. The 10-year age difference between the two has seen a lot of memes on the internet but the most recent one seems to be inspired from the #10YearChallenge, but Indian playback singer Chinmayi Sripaada isn’t taking any of it and has called the trolls out for the casual sexism in the meme. The playback singer, popular for her songs in Sairat, Prem Ratan Dhan Payo among others, questioned Twitterati about the meme and asked if none of them have seen how mean it is. She added that India is a country where men marry women 25 years younger than them and elsewhere in the world 60-year-old’s marry children and nobody bats an eyelid. However, a woman marries someone 10 years younger and it is a meme in a 10-year challenger, she singer ended by saying this casual sexism is not really cool from all the people making fun of Priyanka. While there are memes floating around, Priyanka like always is going about her personal life and recently made a new announcement on Instagram about her upcoming original Youtube show. The actor said that it will be called If I Could Ask You One Thing, and her first guest on the show will be American gymnast Simone Biles, who has always inspired her with her resilience.